Update your website's content the easy way. Content Management Systems (CMS) are simple online applications. They make it quick and easy for anyone to make changes to a website. You control who has access to your website's CMS. They also offer powerful features for professional developers. Craft CMS was first launched in 2013 and has quickly become a favourite platform by php developers. It was voted Best CMS for small to medium business and best WordPress Alternative in the CMS Critic’s 2017 People’s Choice Awards! Craft is currently our preferred development platform for custom designed websites and we have been working with it since it was first launched. 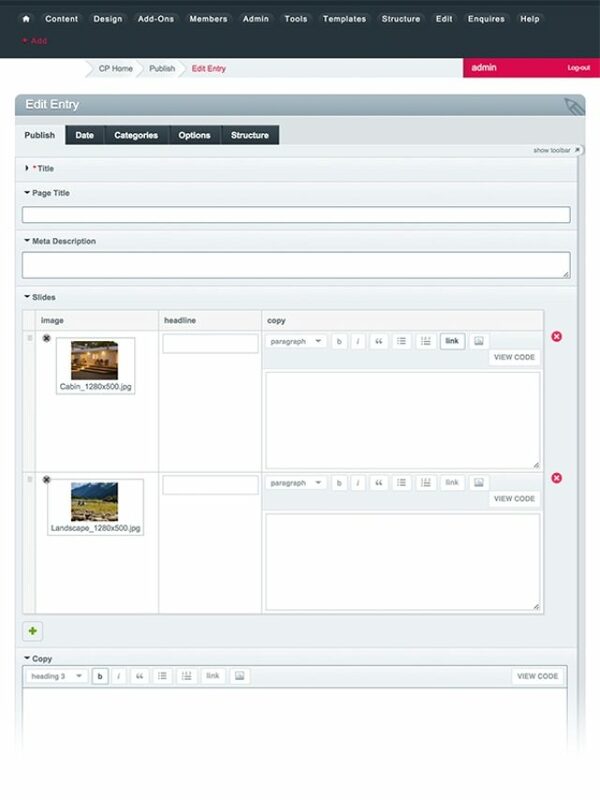 Expression Engine (EE) was the first content management system we worked in when Adhesion started in 2007. It was originally selected because its very flexible, highly customisable and has a very easy to use interface suitable for non-technical users. EE's publishing features are broad, comprehensive and include capabilities to support SEO (search engine optimisation) and content relationships. We continue to support Expression Engine websites.